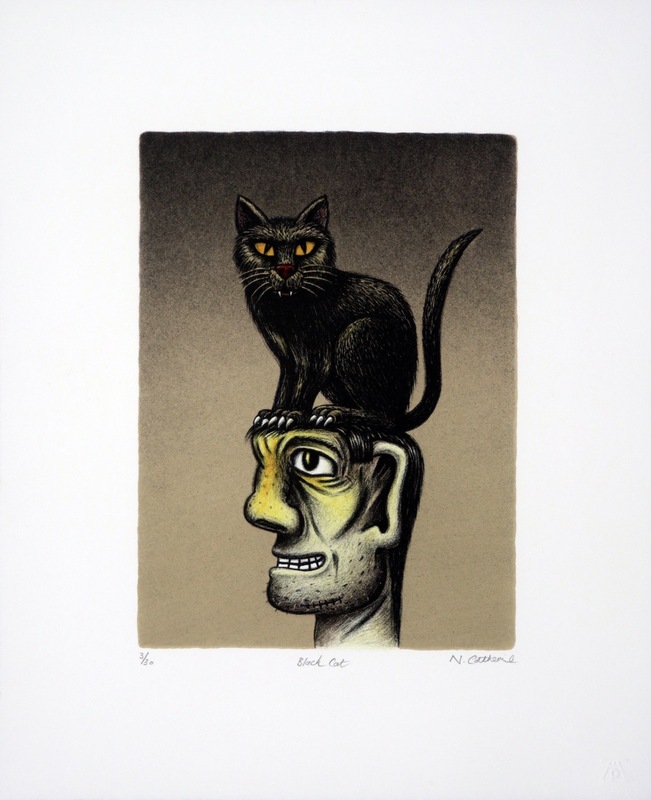 Norman Catherine was the first artist to make a print at The Artists' Press. The studio had no money and had to ask Catherine to buy the ink and paper in order for the edition to be printed. 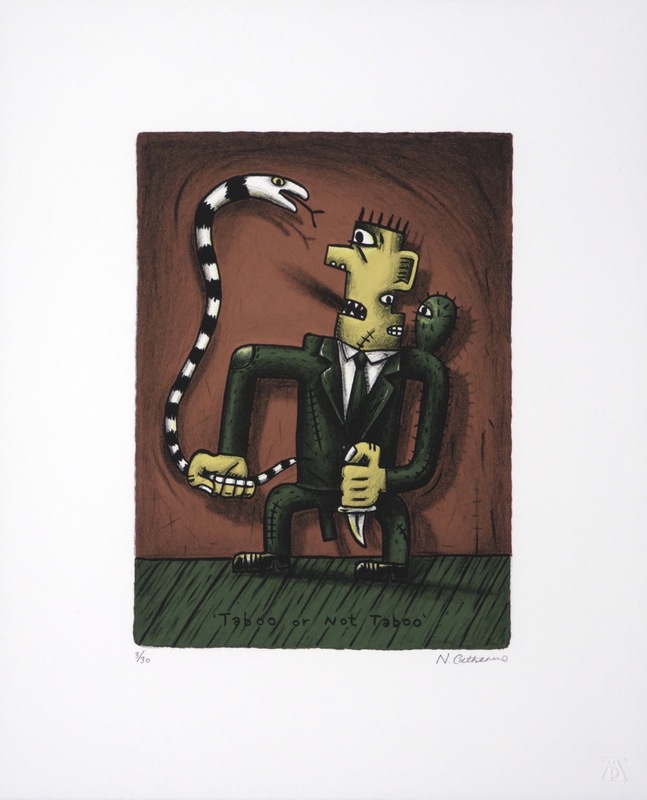 The title of this print is appropriately Headman and was signed on the 30 April 1991. Catherine's latest lithographs are beautiful examples of his fine drawing skills with a perfectionists understanding of colour. The titles play with words and the images draw on humour, fear, social and personal politics and a brush of the absurd. Catherine was born in 1949 and started working with Walter Batiss on The Fook Island Project in 1973. Since then Catherine has worked as a full-time artist and for the most part is self - taught. 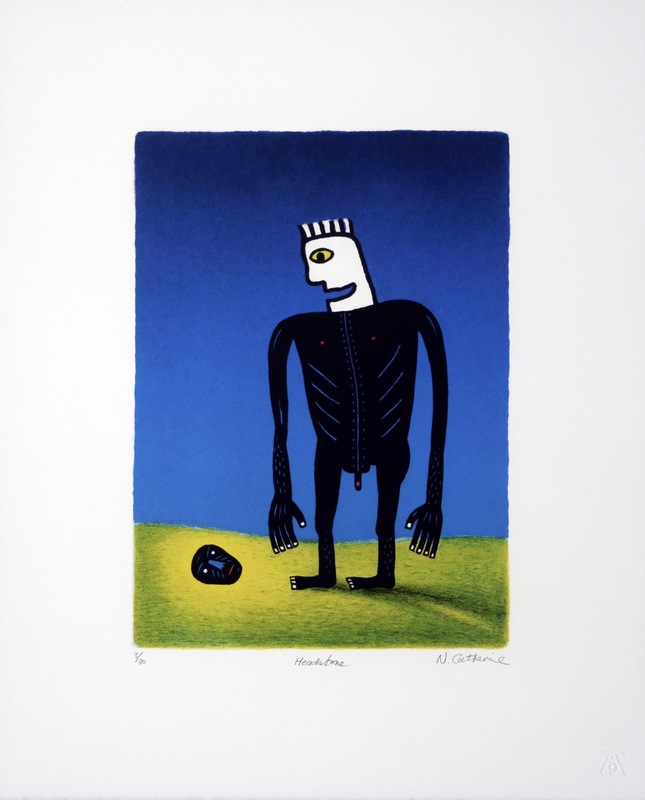 Catherine has exhibited extensively both locally and internationally and his work can be found in leading international collections, both public and private; including MOMA in New York. 'Self Portrait was the first lithograph I did in 1975 with Bruce Attwood, Mark's father, who was doing commercial printing at the time. It was the first hand separated limited edition that both Bruce and I had attempted. Between 1980 and 1984 we went on to do about 25 limited editions together, once Bruce had started his own business at home in Bedfordview. Even though still at school, I remember Mark being always very much involved in the print shop. 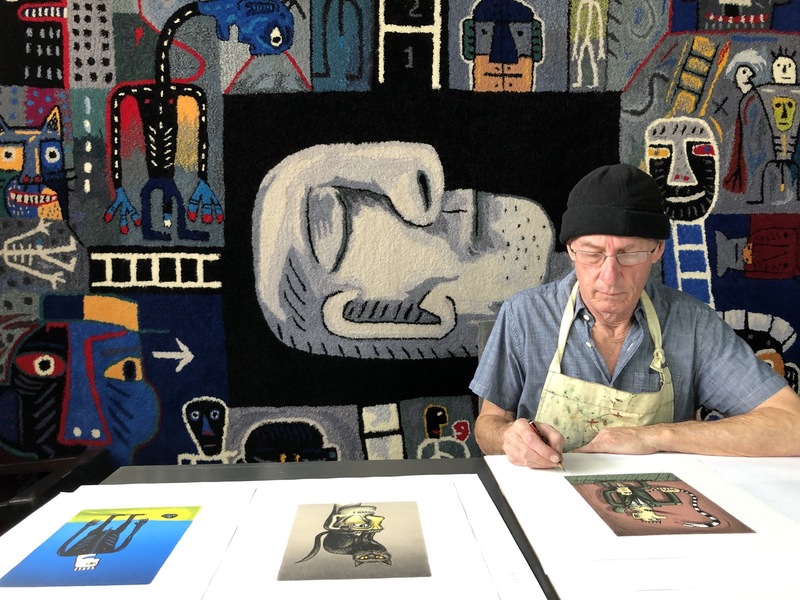 The process of working on layers of frosted film for the separate colours that I did for the editions that Bruce printed on his offset machine was very experimental and as far as I know, had not been used by other artists in SA. This is still basically the same process as the latest prints that I have done with Mark, although now printed by hand on a direct press.